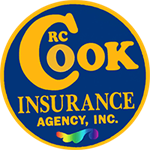 Get your free apartment owners insurance quote from RC Cook Insurance. Call 330-296-3628 for more information. We're located in Ravenna, OH. As an apartment building owner, does your insurance cover you from both risks of a natural disaster? See, a natural disaster can have perilous consequences for you--ruining both your property and your monthly income. You need adequate Ohio apartment owner's insurance to ensure your financial survival. As an Ohio apartment owner both your property and your income are at risk. Because unlike a homeowner, if disaster strikes you will not only lose the value of your property but you may also potentially lose rental income due to repairs or permanent structure damage. Ohio Apartment owner insurance makes sense for anyone who owns an apartment building because it can cover major disasters, liability from lawsuits that can come from common property claims and also it can insure that your income will continue if disaster does strike.